Leading up to and throughout the months of summer, healthy living is a popular topic among many who want to up their exercise regime and be more conscious of eating habits. While striving for a healthier lifestyle is a positive thing, it’s often difficult to achieve – especially if you work a full-time job! For this reason, we deployed the social theme of #OfficeFitness on Boise Paper’s social channels, including Facebook, Twitter and LinkedIn. 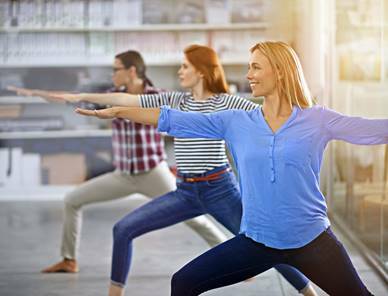 To engage more chatter about how people stay fit and healthy while working a full-time position, LCWA worked with Boise Paper to hold an #OfficeFitness Twitter Chat, hosted by lifestyle and fitness blogger Comeback Momma. Through enticing open discussion topics, exciting facts and engaging photos, people joined the chat to share their expertise as well as learn new tips and tricks. Topics of fitness and healthy eating were the focus of the chat, covering everything from meal prep to workouts for the office. Participants were happy to have a place to express their fitness secrets, ending the chat with meaningful takeaways for everyone. The chat successfully attracted 152 participants and over 10 million impressions. Creating and producing meaningful social events is something LCWA takes pride in, and we especially love when the topic hits home with so many people.